Is Yo! Yo! Honey Singh Making A Comeback With Urvashi Rautela? Remember the old days when young, budding rappers from Mumbai used to gather around at a public park, parking lot or any other spot that was big enough to accommodate 10-15 people or more, as they formed a circle and freestyled on eccentric beatboxing till the sun went down? 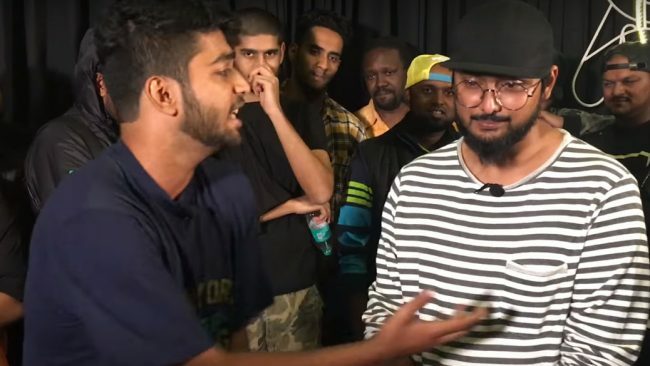 It was all game and play until Mumbai based hip-hop crew Elsewhere decided to give these rappers a platform to battle each other on the mic for the crown. 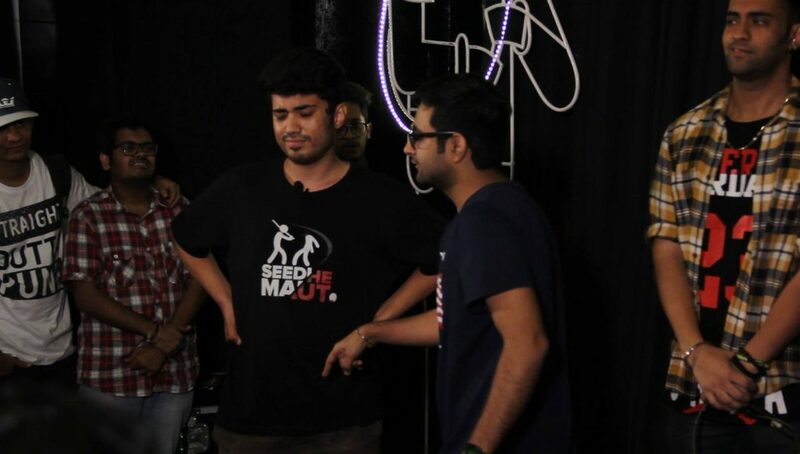 That’s when Battle Bars Bombay (B3) turned from just an idea to an influential event in the underground scene. 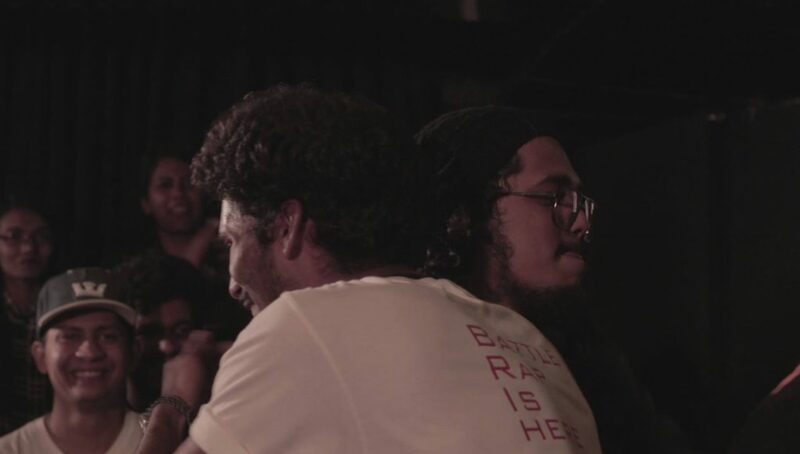 While their first event, ‘Battle Fort’ was just a stepping stone for battle rap, B3 surely made a name for itself. 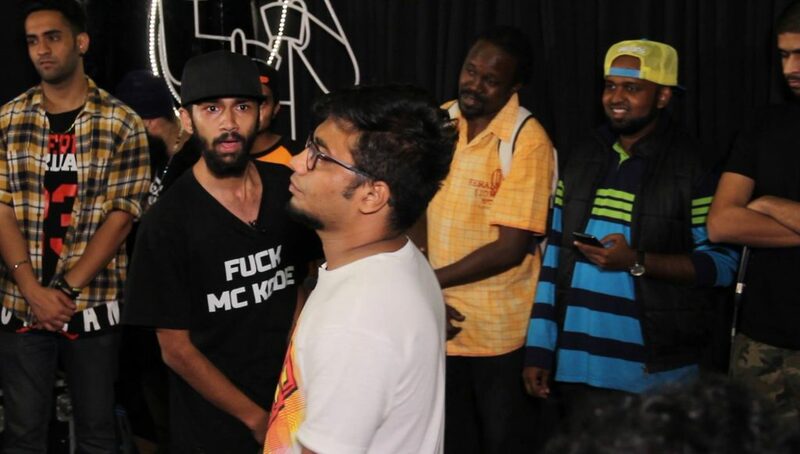 Then came ‘Civil War’, which proved to be a game changer for battle rap in India. B3 carried on religiously and hosted rappers from across the country in their next events, ‘Home Invasion’ and ‘Hunting Season’, which were huge success. In 2017, all eyes where on Elsewhere as they announced B3’s next phenomena ‘Art of War’, where a ‘Clan Leader’ was crowned at the end of the event. This time, Elsewhere took it to a new level with their event arrangement and battle card with ‘Art of War’. From crowd turn up to event management, everything was top notch. People cheered as their favourite rappers went against each other with gun bars and personals. There were total 7 battles, 3 of them being Grandmaster Quarter Finals. While everyone brought their best to the table, only few managed to stand out and put forth an epic battle for the audience to remember for months. Especially X-centrik and Quixotic’s battle, which left the underground scene buzzing for good. X surely had some killer nameplay shots under his sleeve but the poor audience mostly slept through it, whereas Quixotic jumped from a stoner looking for some munchies to a hungry predator out for a hunt. The two put on a good show as they battled each other neck to neck. After X used the Siri angle against Quixotic, everyone had already crowned the match’s winner until it was Quixotic’s chance to deliver, and soon enough, the tables turned. Hands down, this was one intense battle that didn’t give the audience even a slight moment to breathe easily for a minute or calm down. Watch X-Centrik VS The Quixotic battle here. If any other battle was on par with this one, it was Hardknok and That Dude AJ’s battle. The composed and laid back personalities of these two rappers nearly fooled everyone until the battle actually began and they proved how capable they are to cause some serious damage with their savagery. HK started with some easy-breezy witty punches, letting the audience ease into it but he didn’t waste time in shifting gears and turning the beast mode on. One cannot help but applaud HK for cleverly merging humour with his gun bars. While HK was expressive with his punches, his opponent was completely the opposite. Even though That Dude AJ spit his punches with a straight face, he did succeed in creating some serious damage. Had it not been for the slight turbulence that HK faced in the 3rd round, he might have not lost the crown to his opponent. Nonetheless, this was one battle which did absolute justice to the ‘Art of War’ status and set an example for many. Watch HK VS That Dude AJ battle here. After this, every battle was a choke affair. During Sai and EMF’s battle, the former gave up in the first round itself, turning the remaining 10 minutes into a medical dissection demo as audience cringingly watched EMF body bag Sai while he didn’t even put up a fight. It was slightly disappointing as both the opponents have performed massively well in the past. But like they say, battle rap is a gladiator sport and not an easy ride. It’s normal for rappers to blackout and choke during battles, which happened to many at ‘Art of War’, surprisingly. Watch Sai VS EMF battle here. Coming to Kode and Infamous’ battle which was a twisted event. First round saw both the rappers pit their vicious selfs against each other. Infamous’ energy was too good until he choked in the second round, after which, it was a downfall for the rapper throughout the battle. Kode got nasty, as he always does and brought in some really (not so cool) sick personals against Infamous and cake walked his way to the crown. Watch battle of Infamous VS Kode here. Rapture and 1 AM’s battle was an emotional ride as the latter opened up about his struggles and rough journey. But there’s no denying the fact that Rapture came in head strong. His clever strategy to keep taking small water breaks in between, gave him enough seconds to prepare his next punch line and not choke. This was an exhibition battle and the crowd decided their own winners. 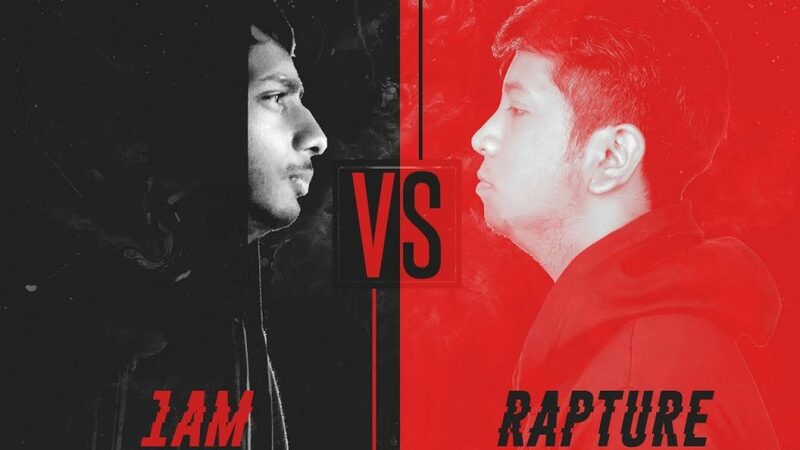 Watch Rapture VS 1 AM battle here. Shaikhspeare and Shreyas’ battle weighed in the latter’s favour straight from the start, which just made one feel that maybe Shaikhspeare came slightly under prepared. Having the privilege of being a veteran did not come to Shaikh’s rescue in this event as Shreyas brought his A game to the battle. Watch the battle of Shaikhspeare VS Shreyas here. 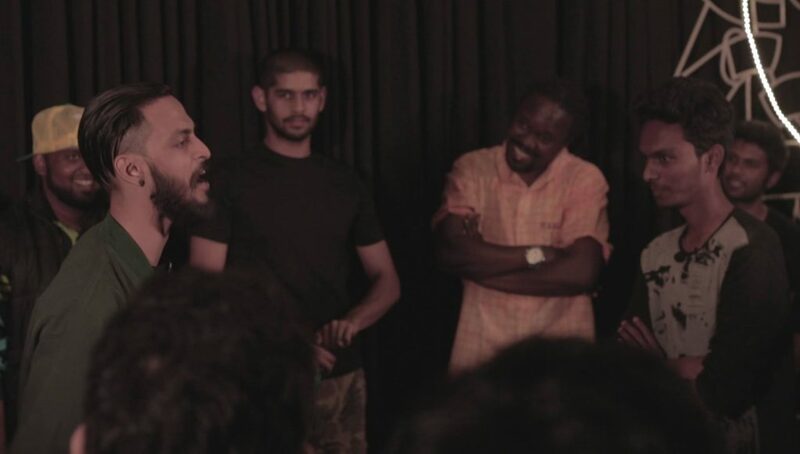 Apart from this, we also witnessed one new element at B3’s fifth event, ‘Art of War’; the Hindi rap battle which went down between Encore ABJ and Jay Sehgal, the Delhi boys. The two absolutely didn’t hold back or dither in shaming each other. While Jay constantly hurled abuses, Encore chose a more poetic way to battle. One can’t help but remind these battlers that throwing abuses at each other isn’t the only element of rap battle. Watch Encore ABJ VS Jay Sehgal, the only Hindi battle here.